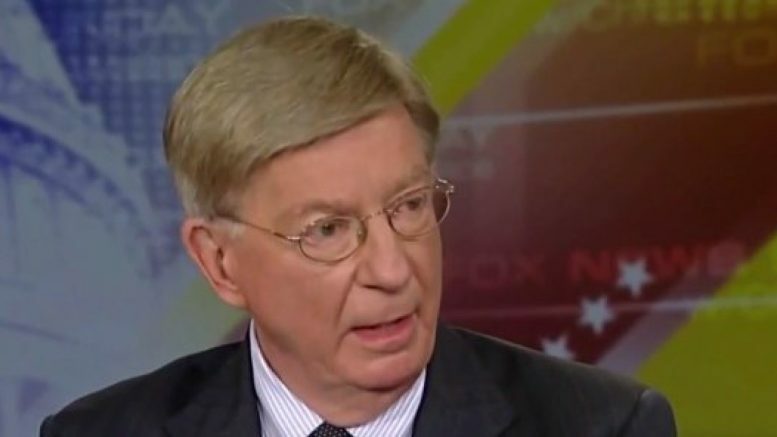 Deplorable Message EVISCERATES GOP Elitist George Will! George Will, your time is past. Your methods of madness are over. 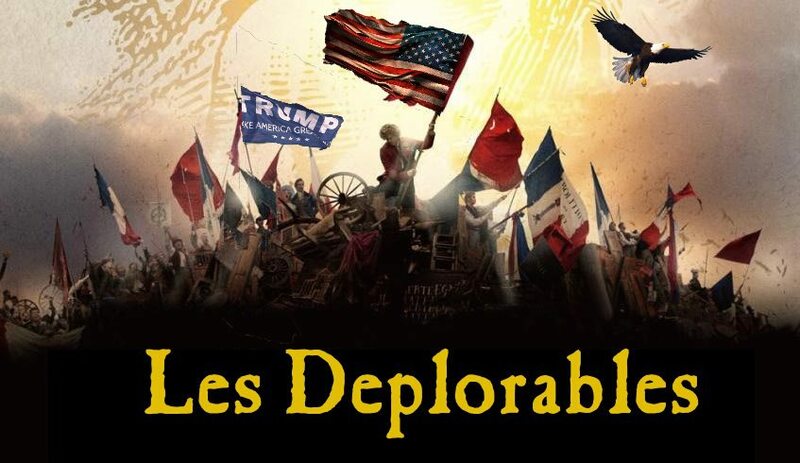 You may be able to write eloquently with words some of us wish were in our vocabularies, but with your recent comments, you have proven to red blooded Americans now known among ourselves as “deplorables” that you are a racist, elitist snob who has no idea what we out on the fruited plain face every day. Furthermore, your stated intention to shape American conservatism in the mold it has occupied for the last few decades shows just how out of touch you really are. You see, Mr. Will, the economic policies you and your fellow “conservative” inhabitants of inside the beltway, i.e. The Swamp, have been pressing on the American people DO NOT WORK. The whole “free trade” thing – lowering the trade barriers without other countries lowering theirs – basically turns the USA into a flea market for cheap crap from overseas, not the quality goods that our own factories used to produce which kept our money circulating within the country. Not only that, but NOT building a wall and securing our borders leaves the whole place open to invasion from all directions. 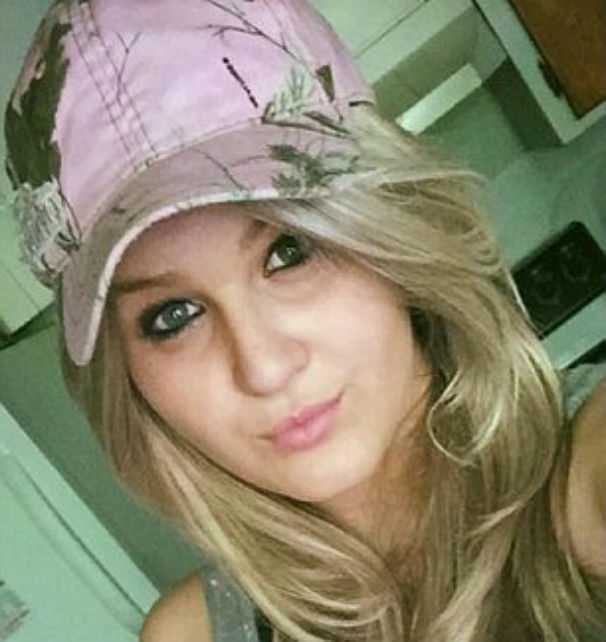 The illegal immigrant stream of the past few years via the desert of the southwest proves that there are still people willing to risk death to come here. As for entitlements and increased tax revenue, it is counter-intuitive to theorists, but Ronald Reagan – a candidate and president George Will opposed – proved that LOWER taxes INCREASE REVENUES, both personal and tax, that will alleviate the deficit and eventually lead to lower entitlements as the middle and lower classes accumulate wealth and no longer need them. Tariffs – eliminated in the U.S., anyway, by free trade – are yes, a tax, but they are the tax that makes products made in the USA, by Americans, competitive in the marketplace. Those of us who are hand-crafters know that a handmade baby beanie, realistically, will never sell at its actual price of materials plus labor. Not when new moms can go to Walmart and get something comparable for a third of the cost thanks to no tariff. WILL: It depends partly on the size of Mr. Trump’s defeat. If it’s a narrow defeat, that’s the worst (snickers) conceivable outcome for Republicans, because then it will be the old stab-in-the-back theory, that but for people like Paul Ryan or Ben Sasse or lesser figures like George Will, all would have been well. Mrs. Clinton may win by four points, but well over 300 electoral votes. That would help the Republicans. The Republican Party has to do several things. First, it has to somehow emancipate itself from its thralldom to the indignation industry of talk radio and certain cable personalities that I think have a paralyzing effect on the party when it tries to deal with things like immigration. Until the Republican Party gets right with minorities in this country, it’s never gonna win another presidential election. CALLER: Years ago, decades ago, George Will did not initially support Ronald Reagan. And he, like so many elites, don’t understand that you don’t tell us what to think; you share what we think, and we appreciate you because you express it so eloquently, and you allow us all to know that there’s millions like us. And another thing they don’t get is you respect us. And that’s something that Trump and Pence do. They respect us. They’re reaching out to people while Hillary’s calling us a bunch of deplorables, and it’s a very poor reflection on George Will and elites like John Kasich and others that they support through their words and actions. And THAT is what we deplorables recognize is the issue with George Will and the other elitist, racist snobs. They do not respect the people that they need to keep them in power. They do not respect our opinions, work methods or places. They do not know what it means to have to work sixty hours a week to make ends meet, and if they do, it may well be due to lifestyle. Most of them don’t work on their feet unless they have a standing desk. This rant could go on and on about how much of a snob George Will and the rest of the “conservative” elite are, but the exercise would be pointless. As a deplorable, regardless of a college degree from a “Top 25” institution and experience in the arts worth another, this writer’s opinion is moot to the self-described gatekeepers of “conservatism.” Why? Because it stands at odds with the conservatism of the past that the guards are desperately trying to keep alive despite the American people moving on from it. The racist pigeonholing and breaking Americans down into subgroups does not exist with deplorables. Nothing matters other than changing laws to put Americans first and to stop the bankrupting of the people. No, we do not have the same lifestyles, or tastes, but that doesn’t matter. We have the same goals. And that is something that the George Wills of American “conservatism” will never understand so long as they refuse to leave the bubble of the beltway.